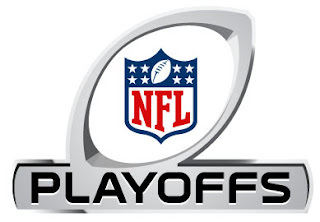 NFL Division Playoffs Preview - Fantasy Football, Fantasy Football Rankings | Mac Bros.
And then there were eight. And, for the second time (2006) since realignment in 2002, all eight remaining teams in the Divisional round are division winners. The NFL’s top offense (New Orleans, 467.1 yards per game) will face the NFC’s best defense (San Francisco, 308.2 yards per game) on Saturday at Candlestick Park. New Orleans has won nine consecutive games, including last week’s 45-28 Wild Card victory over Detroit. The Saints, who achieved numerous offensive milestones during the regular season, continued to rewrite the record books, gaining an NFL postseason record 626 yards and tying a league playoff record with 34 first downs. Quarterback DREW BREES passed for 466 yards and is the first player in NFL history with back-to-back 400-yard passing games in the playoffs. He also joined Pro Football Hall of Famer DAN MARINO and PEYTON MANNING as the only players in NFL history to pass for at least 400 yards in two postseason games in a career. In his first season, head coach JIM HARBAUGH guided the 49ers to 13 wins, tied for the third-most victories by a rookie head coach in NFL history. San Francisco claimed its 15th division title since 1980, the most in the NFL during that span. The 49ers, who tied for the NFL lead with eight players selected to the Pro Bowl, led the league with a +28 turnover differential and boasted the league’s best run defense (77.3 yards per game). San Francisco allowed only three rushing touchdowns, the fewest in a 16-game season and the 49ers became the first team to not allow a rushing touchdown in each of its first 14 games to start a season. Denver enters the Divisional round riding high after a 29-23 overtime win over Pittsburgh. Quarterback TIM TEBOW, who averaged an NFL postseason record 31.6 yards per completion (316 yards, 10 completions), threw a game-winning touchdown pass to wide receiver DEMARYIUS THOMAS just 11 seconds into OT, the fastest end to an overtime in NFL history. Thomas had four receptions for 204 yards and averaged an NFL postseason record 51 yards per catch. He is the seventh player with 200+ receiving yards in a playoff game and, combined with fellow Georgia Tech alum CALVIN JOHNSON (211 yards), this is the first postseason in NFL history with two 200-yard receiving games. The Broncos will face a New England team that won the head-to-head meeting in Week 15. Patriots quarterback TOM BRADY is 14-5 (.737) in the playoffs, tied with Pro Football Hall of Famer TERRY BRADSHAW for the best postseason record by a starting quarterback in NFL history (minimum 15 starts). Brady, who is one of only four players to win multiple Super Bowl MVP awards (XXXVI, XXXVIII), ranks among the all-time leaders in the postseason in completions (424; fourth), attempts (682; fifth), passing yards (4,407; sixth) and touchdown passes (30; tied for fifth). Patriots head coach BILL BELICHICK is 15-6 (.714) in the playoffs and ranks fifth all-time with 15 postseason wins. With a win on Saturday, he would move into a tie with Pro Football Hall of Famer CHUCK NOLL (16) for fourth place. Two of the league’s best defenses will meet when the Ravens host the Texans. Baltimore and Houston were the only two teams in the NFL to rank in the top five in total defense, rushing defense and passing defense. Last week, the Texans won their first playoff game in franchise history, defeating Cincinnati 31-10 at Reliant Stadium. The last team to win its franchise’s playoff debut was the 2000 Baltimore Ravens, who went on to win Super Bowl XXXV. One of the key plays in Houston’s Wild Card victory was J.J. WATT’s 29-yard interception-return touchdown. Watt is the first rookie to record both an INT-TD and a sack in a postseason game since sacks became an official statistic in 1982. Houston will now travel to Baltimore to face the Ravens, who defeated the Texans in Week 6. Since taking over the team in 2008, head coach JOHN HARBAUGH has guided the Ravens to four consecutive playoff berths. On Sunday, Baltimore will host its first playoff game under Harbaugh. The Ravens are 8-0 at home in 2011. The Giants and Packers meet in the postseason for the seventh time. The first five meetings were in NFL Championship Games and the last playoff contest between the two teams was the 2007 NFC Championship Game. The Giants won that contest, 23-20 in overtime, and eventually won Super Bowl XLII. On Wild Card Weekend, the Giants defeated Atlanta 24-2 at MetLife Stadium. Quarterback ELI MANNING threw for three touchdowns and his 11 career postseason TD passes are the most ever by a Giant. Manning, who passed for 347 yards and three touchdowns in the teams’ Week 13 meeting, knows the challenge ahead for the Giants. The Green Bay Packers, who own the league’s best postseason winning percentage (.644, 29-16), open the playoffs at home – where they went 8-0 during the regular season – aiming to become the ninth defending champion to win the Super Bowl the following season. Green Bay won a franchise-record 15 games and scored a team-best 560 points, the second-most in a season in NFL history. The Packers are led by Pro Bowl quarterback AARON RODGERS, who set an NFL single-season record with a 122.5 passer rating, throwing for a franchise-record 4,643 yards and 45 touchdowns. Rodgers, who was the MVP of Super Bowl XLV, is one of the top postseason quarterbacks in NFL history, ranking first all-time in passer rating (112.6), completion percentage (67.8 percent) and yards per pass attempt (8.72).